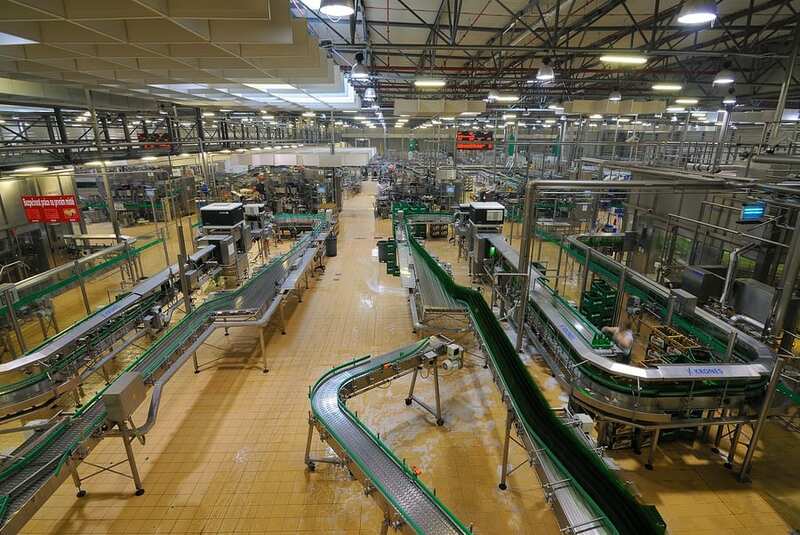 Conveyor belts are the cornerstone of modern production lines. A good conveyor belt is a combination of safety, resilience, functionality and acceptability. With these factors varying from one field to another, conveyor belt specifications will always vary as well. Understanding your needs is the key to choosing the right custom metal fabricators and the right specifications for your new conveyor system. Though regular steel conveyor belts are more common than stainless, stainless is the ultimate choice for conveyors transporting materials that require a clean surface, as is necessary in the food and pharmaceutical industries. This is why stainless steel is perfect for food processing while a regular steel belt is better suited for manufacturing and high-strength applications. 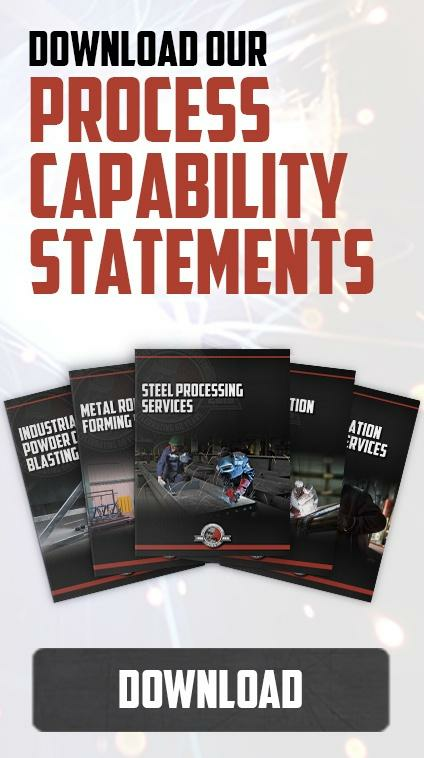 Apart from this, you will need custom metal fabrications to get the perfect balance between strength, texture and resistance to different chemicals in the product. Even though food and pharmaceutical manufacturers are the most interested in steel-based conveyor belts, other manufacturers also revere the versatility and strength of steel. The steel conveyors will be perfect for high impact loading as it is strong while its ability to resist a wide range of temperatures makes it ideal in dealing with hot or cold production stages. In addition to this, steel’s natural hardness makes it the perfect surface for metallic or hard products. It is cut and friction resistant meaning that the conveyor belt will give you more work-hours before wearing out. Flat surface conveyors offer a smooth surface that is both strong and easy to clean. Moreover, the waterproof surface is great for juices or tiny components from food products or other products that could slip through openings in other kinds of conveyor belts. Woven wire, on the hand, is perfect for flexible applications as it can mold into different shapes easily. You can choose to use rollers at different locations to flip the product and change direction without shortening the conveyor belt’s lifespan. It, however, won’t be a great option of products like steak or tiny products that can dirty or slip through the netting. Hinge metal belting would be a great compromise between flat surface steel belts and metal belting as they are the best balance between flexibility and the ability to contain small or wet products. This is the most important factor regardless of whether it is in a food grade conveyor or a general-purpose system. Keeping the production line clean is good for business and production. A simple belt with less moving parts, liquid collection points and self-drain spots will be easier to maintain. Maintenance downtime has a great impact on throughput. You will have to design your steel belt with maintenance in mind. The faster and easier it is to maintain and repair the better. Lifespan is directly proportional to return on investment. You will need a great product that will give you high quality service for a long time. 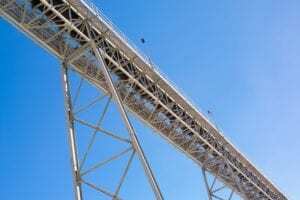 This is where steel conveyors have an upper hand against their competitors. A good stainless steel conveyor will withstand corrosive agents regardless of whether the chemicals are from the food or cleaning products. A good conveyor belt will adapt to a wide range configurations without having to call in the experts. Conveyors can incline, decline or turn. While most production lines will use one configuration for a long time, some will have to change the configuration at one time in the belt’s lifespan. A belt that is as flexible as it is strong will not only support the product but also have what it takes to conform to a new layout. Working with a custom metal fabricator gives you the flexibility to implement your own design that meets your production specifications. Choosing a great fabricator who designs and builds anything from a turnkey solution that will match your exact specifications to plugins that augment your existing system is the key to implementing the perfect conveyor belt system. Since the custom steel conveyor production cycle is a complex one, you will need a highly experienced manufacturer with a respectful record of accomplishment. Go through the catalog to see past accomplishments. Talk to the designers about your idea and designs and listen to any suggestions with the sole intent of gauging the producer’s ability to meet your expectations. Swanton Welding offers you a wide range of custom metal fabrication services complete with design, implementation and post-sale customer support. You can count on our impeccable industrial metal fabrication skills to help you get the perfect custom steel conveyor for your production line.